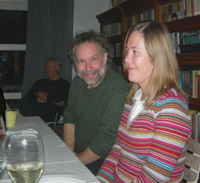 From october 23 til October 26 John Gorka did a short tour in the Netherlands. 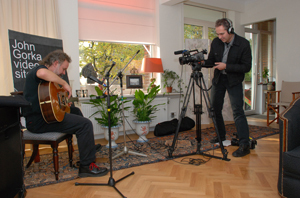 He did three concerts, a radioshow, a recording session for this video site, and a houseconcert. 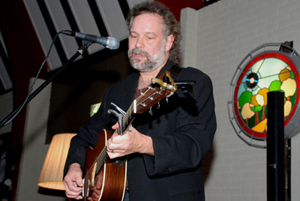 On October 23 John started his tour with a concert in De Slotplaats (venue capacity: 75). 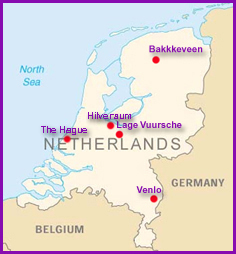 The name of the little village is called Bakkeveen. On this page you can see 20 (!!) video clips from this concert (scroll down). 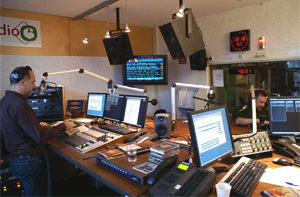 Cantina radioshow with host Leo Blokhuis. In the evening John played In the woods . (venue capacity: 120) in Lage Vuursche. 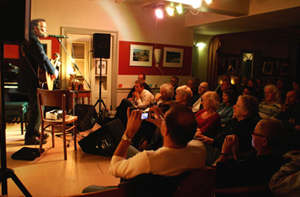 From the Lage Vuursche concert you can see two songs and there is also a review from that show. 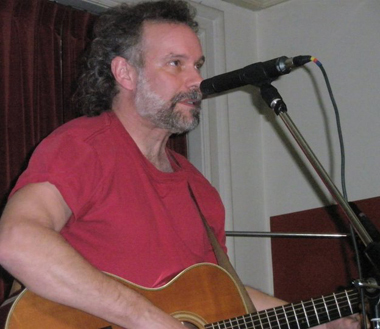 On October 25 John played five songs in front of 2 cameras for the John Gorka video site sessions. 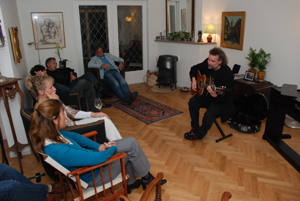 Later that day John did a House Concert in the same house.for Peter ter Horst and Willem Leeuwenhoek (click on the names and you will see four songs). On sunday 26, 2008 John played in the biggest venue of that week Perron55 (capacity: 280) in Venlo. 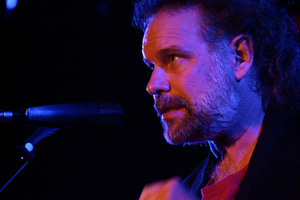 It was a great week for the Dutch John Gorka fans!! it was the last song of the Bakkeveen concert. Live at "In the Woods"
Thanks Bert Gazendam for these two clips and photo. I would like to thank Gert-Jan & Marianne from Koedijk (the Netherlands) for this video.